Predators goalie Pekka Rinne poses for a photo with patient Caleb Daniel and his mom, Ashley. Photo by John Russell. 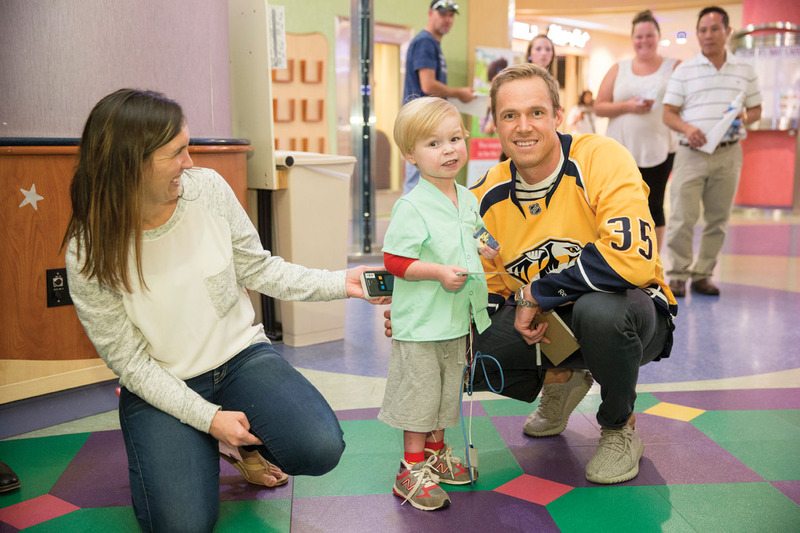 The Nashville Predators hockey players are heroes on and off the ice—they’re devoted supporters of Monroe Carell Jr. Children’s Hospital at Vanderbilt. 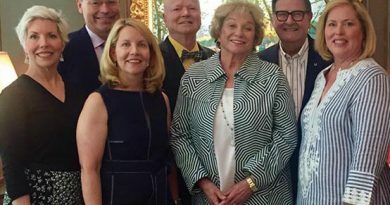 Over the past seven years, the Predators have raised and donated more than $1 million to Children’s Hospital, with more than $500,000 going to the Nashville Predators 365 Pediatric Cancer Fund. They also made a gift to the Growing to New Heights Campaign for the hospital expansion that’s currently under construction. On Hockey Fights Cancer nights, pediatric patients from Children’s Hospital attend the game and participate in a ceremonial puck drop and ride the Zamboni. All money raised during the games, a night dedicated to the young warriors battling this disease, benefits the 365 Pediatric Cancer Fund. As part of the Fund, team goalie Pekka Rinne also purchased a suite at Bridgestone Arena that accommodates 32 children and families from Children’s Hospital for Preds home games. In addition to their gifts, the Predators support Children’s Hospital in many ways. They make frequent visits to Children’s Hospital, which include room-to-room visits with patients unable to leave their room and in-studio appearances at the Seacrest Studios inside Children’s Hospital. 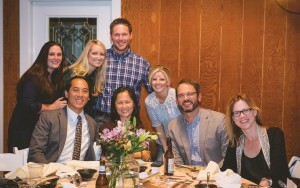 The organization also was the impetus for starting patient-support programs at the hospital like Flashes of Hope, in which professional photographers donate their time to take portraits of pediatric patients battling cancer; and Beads of Courage, which allows patients to build a necklace with charms documenting their health care journey. As the Nashville Predators took on the Pittsburgh Penguins in the Stanley Cup Final (at time of publication), patients returned the support with posters and cards with words of encouragement.